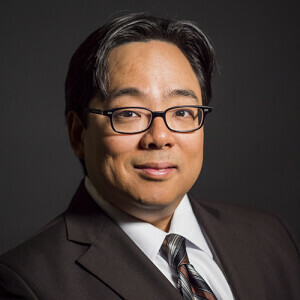 Dr. Chris Chun’s doctoral research at St. Andrews University was focused on the eighteenth century Edwardsean Baptists in Britain. His Th.M. thesis at Gordon-Conwell Theological Seminary examined the relationship between Jonathan Edwards’s epistemology and pneumatology. He is the author of Legacy of Jonathan Edwards in the Theology of Andrew Fuller (Brill Academic Publishers, 2012) and co-editor of Expect Great Things, Attempt Great Things: William Carey & Adoniram Judson, Mission Pioneers (Wipf & Stock Publishers, 2013). Chris has contributed chapters in Baptists and Revivals (Mercer University Press, 2018), Jonathan Edwards and Scotland (Dunedin Academic Press, 2011) and Understanding Jonathan Edwards: An Introduction to America’s Theologian (Oxford University Press, 2009) as well as having been published in a variety of journals, including The Southern Baptist Journal of Theology, American Baptist Quarterly, Journal of Baptist Studies, Journal of Eighteenth-Century Studies, International Journal of Systematic Theology, Themelios, Edwardseana and Church History and Religious Culture. He is currently working on a history of Gateway Seminary, a book projected to be completed just in time for the institution's 75th anniversary. Chris is the director of Jonathan Edwards Center at Gateway Seminary and served as president of The Evangelical Theological Society (Far West Region) and is one of the editors for a forthcoming critical edition of The Works of Andrew Fuller. Chris is an ordained SBC pastor and a frequent speaker at churches, seminars, and retreats. He and his wife, Juliann, have two daughters, Karis and Chloe.